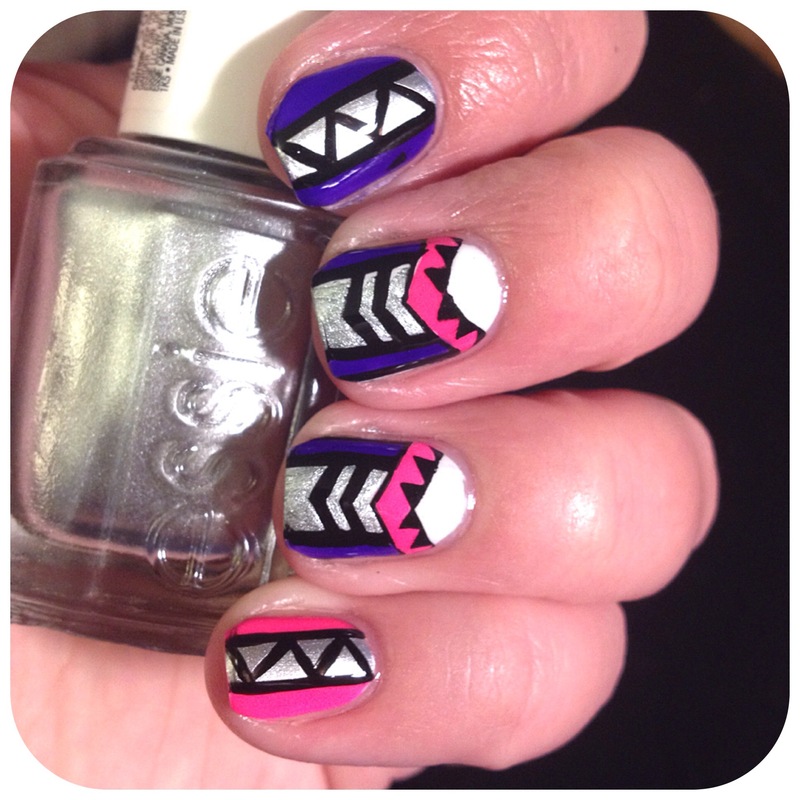 The Lacquer Ring does Aztec Nails!! | Polish Me, Please! Are these cute or what??? Apparently modestly has no place in today’s post. I used a bunch of different polishes to do the decal using BM 406 on my middle and ring fingers, then free-handed the design on my other fingers. I just really like how these turned out and I hope you do, too. Let me know what you think of these in the comments below. Have you ever tried the stamper decal method? 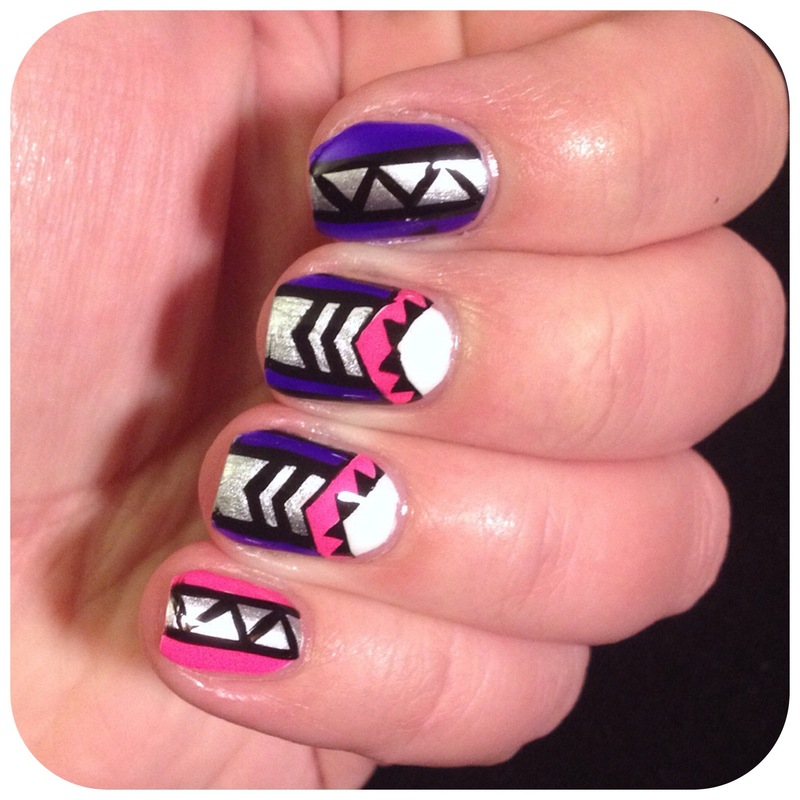 Don’t forget to check out everyone else’s Aztec nails by clicking on the button below. As always, thank you all for reading and commenting and till next time- Happy Polishing!! Modesty does not deserve a place in this post because these nails are LIKE WHOA. Phenomenal job. The colors are so freaking perfect! I love these. Oh wow! This just blows me away! This is blooming gorgeous!